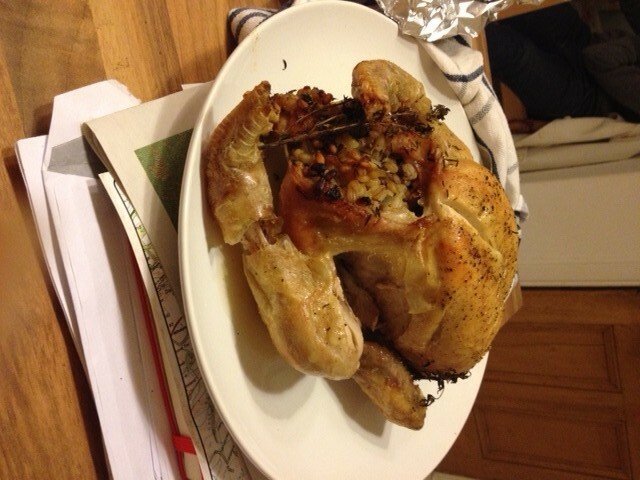 Last night was roast chicken night and the slightly odd-looking grain stuffed inside is pot barley. I was never a fan of scotch broth but barley is my new favourite addition to salads and now stuffing! It is stocked full of fibre, the soluble kind that helps lower bad cholesterol, as well as a fibre-like compound called lignan, which may protect against breast cancer and other hormone-related cancers and heart disease. Unusually for a grain, barley contains lutein, keeping eyes healthy. Toast the seeds in a dry frying pan for a couple of minutes then grind. Cook the onion in the oil until soft then add the garlic and cook for another couple of minutes. Add the ground spices and barley and stir until combined. Pour in the stock, bring to the boil then simmer for 20-25 minutes, topping up with water if it looks dry. Remove from heat when the grain is tender then stir in the dried fruit, lemon, parsley and walnuts. Stuff into a chicken for roasting or add to some salad leaves and dressing for a hearty salad. The barley goes nice and crispy when it’s been on the edges, and the softer middle stuff absorbs all the chicken juices. 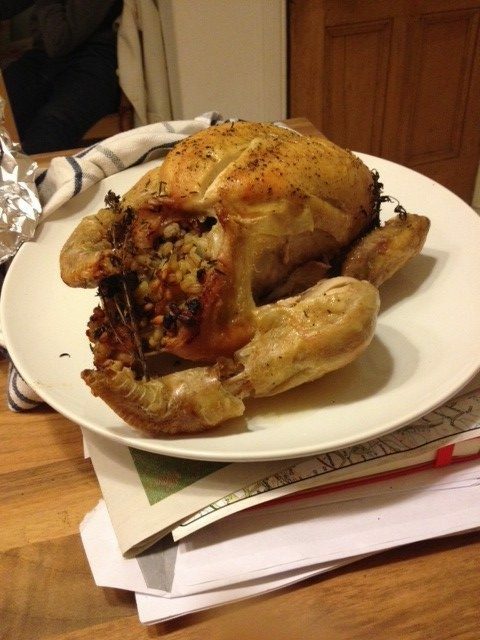 A really tasty stuffing. 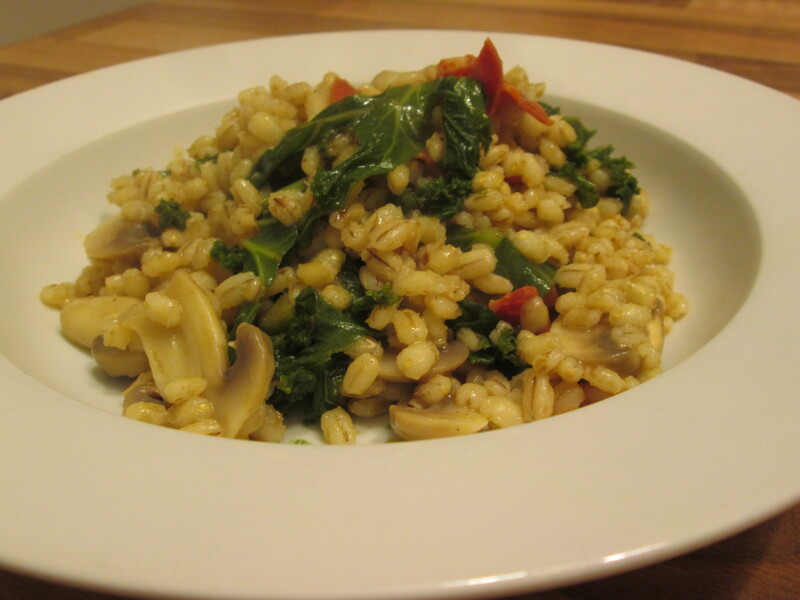 Barley is also a good substitution for arborio rice in risotto (although you could say it’s not a risotto if it’s not made with rice!). It’s a little more chewy and nutty, but still absorbs lots of flavours in a dish so works really well. A good combination is kale and chorizo for a tasty barley “risotto”. Posted in Recipes and tagged barley, chicken, cholesterol, fibre, food, health, lutein, nutrition, salad. 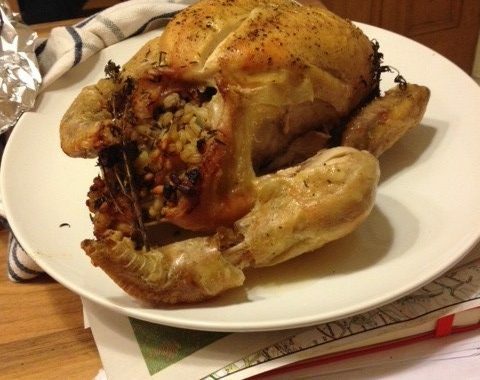 The chicken stuffing sounds yummy – a fancier version of skirlie maybe? Would be nice stuffed into a chicken breast and wrapped in bacon too! Absolutely, and lovely just as it is, I had the leftovers as a salad yesterday!